Exhibiting at Streets Alive! 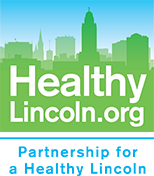 provides businesses or organizations with an opportunity to be a visible part of a free event open to the entire community of Lincoln. Over the years, our attendance has grown to an average of 4,000 including more than 100 exhibitors and entertainers. Contact us about exhibiting at the 2019 Streets Alive! Whether you are providing resources (health screenings, education, information), leading fitness classes, demonstrating your sport, providing produce or healthy food at the food court, sign up to be part of the 2019 Streets Alive! starting in May 2019 and reach thousands of people in one afternoon. Bring people to you and let people know you will be at the 2018 Streets Alive! We'll have promotional materials and social media badges for you closer to the 2019 event. We move the festival to a new location every two years. The 2018 Streets Alive! event is being hosted by the Belmont neighborhood. Exhibitors line a one and a nearly 2 mile route to encourage people to walk the whole route. Exhibitors are able to set up ahead of the festival, between 11:00 am and 12:15 pm. During this time, you are able to drive your car closer to your assigned booth area to unload for the event. Volunteers will be available to help you. After 12:15 pm, you will not be able to drive on blocked off streets. The streets following the route will be closed to traffic and parking the day of the event. In order to accommodate everyone in the area on the day of the event, there will be a variety of parking lots available in the vicinity of the route. Parking locations and closed streets for the 2019 event listed on our FAQ page closer to the date of the event. We ask that you staff your booth for the entire event - as visitors will come and go throughout the day. Otherwise, you'll miss a great promotion opportunity! We provide the table and name placard. Please bring chairs and an electrical source if needed. BE SAFE - Streets are closed but participants should watch for vehicles, children, pets and other normal hazards. Streets Alive! is not held liable for participants' failure to be watchful. No weapons. No smoking. BE RESPONSIBLE - Take care on the streets and sidewalks; watch for others. Dispose of litter and pet waste in responsible ways. BE RESPECTFUL - Use family-friendly language; be considerate of others. BE GREEN - Please recycle in the bins along the route.